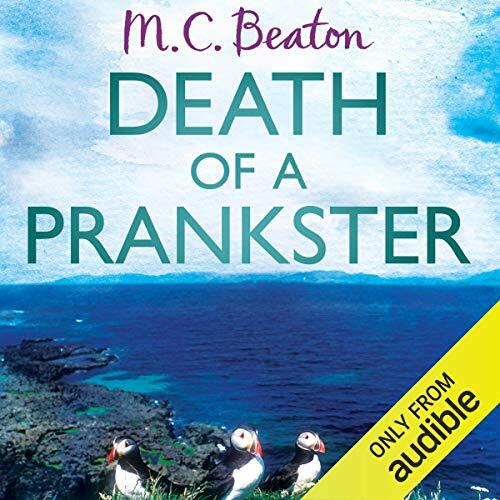 When police constable Hamish Macbeth receives the news that there has been a murder at Arrat House, home of the relentless practical joker Arthur Trent, he doesn’t race to the scene of the crime. After all, last time he was called to investigate a death at the isolated Scottish manor, the "victim" turned out to be Trent’s manservant covered in fake blood. Thus prepared for another prank, Hamish arrives to find that Trent has been most decidedly murdered and for suspects there is a houseful of greedy relatives, all of whom are more than interested in the contents of the will than the crime at hand. And when the chief inspector arrives on the scene and his former flame, Priscilla Halburton-Smythe, gets involved as well, Hamish quite clearly has his hands full. M. C. Beaton worked as a Fleet Street journalist. She is the author of 16 Agatha Raisin novels, the Hamish McBeth series, and an Edwardian murder-mystery series. She divides her time between the Cotswolds, where she lives in a village very much like Agatha Raisin's beloved Carsely, and Paris. A nice story, not one of the better ones but pleasant enough. Hammish at his bumbling best, it wasn't, but the reader was good & authentic which helped with the flow. Another lovely story about the easy going Scottish policeman. Surprisingly addictive. Great psychological insights into human behaviour.